Residential real estate in Massachusetts may carry the benefit or burden of an easement. An easement is a legal right to use someone else's property. Often, this right will be specified in an easement instrument recorded at the registry of deeds, but sometimes the right is not recorded. Some easements, such as utility easements, are standard and harmless. Others can have a significant impact on the owner's use of the property, as well as his or her ability to expand the use of a parcel of property. The easement may run with the property, in which case the property that enjoys the benefit of the easement is a "dominant estate," and the property through which the easement runs is the "servient estate." As a real estate attorney can explain, a public easement allows the public to use your property in a particular way. At Pulgini & Norton, our experienced Boston easement lawyers can advise you on all aspects of public easements and property transactions. A public easement is the right of the general public to use a piece of land. Usually, the easement arises because a right was reserved when the land was originally deeded. However, it can also arise by prescription, when a property is used adversely by the public for many years. For example, a common public easement that arises is when the public uses a trail across private property to get to a beach by the ocean. Trails are very common public easements. When a public easement exists, a landowner is required to let the public use it for the permissible purpose. This means that any member of the public can access a specific area of the private land for certain but not all purposes. The public does not own the land and cannot use it as it chooses, but it does have a right to use the land in the way specified in the easement. For some prospective buyers, a public easement is problematic and reduces the value of the land they are going to buy. People who own land should be aware that a public easement may make their land less attractive when it comes time to sell. However, permission for trail use does not have to be through an easement. It can also be through a license. Unlike an easement, a license is revocable and not binding on future owners of the property. Also unlike an easement is a restriction that permits someone who does not own the land to stop the owner from using the land in a way to which they would otherwise be entitled. For example, there are Conservation Restrictions that are designed to preserve land in its natural condition and protect such things as wildlife, forests, or scenic views. In contrast to licenses and restrictions, a trail easement is perpetual. It runs with the land. In some cases, it may give the entire public access, while in other cases, it may restrict access to certain users. Usually, the type of use is specified. The use may be for biking, jogging, hiking, lake or ocean access, or hunting. At Pulgini & Norton, our Boston easement attorneys can help you understand whether there is a public easement in connection with a property that you are interested in buying or selling and advise you accordingly. 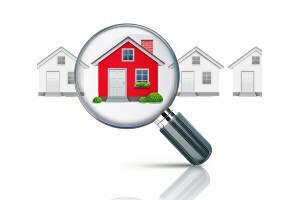 Our firm also advises and represents people in Cambridge, Andover, Somerville, and other cities in Massachusetts with regard to all aspects of residential real estate. Call us at 781-843-2200 or contact us via our online form for a free consultation.